Over the years Pratt has developed a unique set of tools to ensure that packaging solutions are seamlessly executed, thoughtfully branded and compatible with existing supply chain and manufacturing processes. As part of our effort to optimize packaging for our customers, we offer D flute corrugated boxing technology made from 100% recycled paper, which produces flutes smaller than 1/8 inch. This technology offers the benefits of cost savings for the supply chain and reduced environmental impact. D flute corrugated boxing technology produces a better printing surface and creates 25-30% more boxes per unit than B flute designs, which is an important cost saving measure for eCommerce companies looking to optimize their supply chain and reduce packaging logistics costs. D FLUTE is an innovative type of corrugated fluting available from Pratt Industries that is a great option for many types of packaging used in eCommerce and retail settings. Its slim and sturdy characteristics provide for superior printing and offer cost advantages for today’s warehousing and material handling challenges. It has a flute profile that is smaller and closer together as compared to B flute and offers similar applications including food packaging, retail packaging, point of purchase displays, die cut inserts, and customized print packaging. Superior Printing Surface: By providing a better canvas for printing detailed graphics and rich colors, D Flute allows eCommerce to brand their protective packaging for an improved customer experience and lasting brand impression. Supply Chain Savings: Due to its thinner profile as compared to B flute, eCommerce companies can save warehouse space, receive more packaging per pallet and enjoy a lighter package weight for product shipping – offering savings across the supply chain. Environmental Savings: D Flute is made from our 100% recycled paper and requires less resources to produce, making it even better for the environment than other heavier flute profiles. Protective Qualities: With an increased stacking strength, D Flute resists crush due to a larger number of flutes per inch and is more durable to sustain rough handling during shipment. In Australia, Casella Wines, who exports 20% of Australia’s bottled wine products, has converted to D Flute and has taken advantage of the superb printing characteristics and increased appeal at point of sale. The strength of D Flute lends itself to be a great material for self-supporting products. 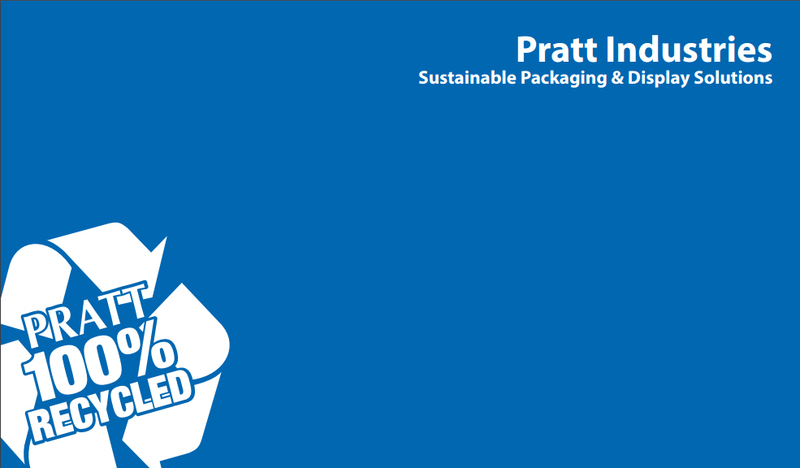 Pratt is a world leader in the packaging industry with a series of corrugating facilities strategically placed throughout the United States and Mexico offering a wide range of creative, 100% recycled packaging solutions. All are backed by Pratt’s total commitment to quality, service and innovation.